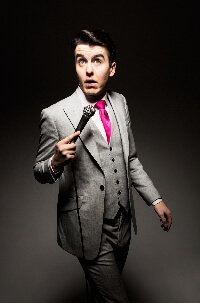 At just 23 years old, Al Porter already felt like a seasoned pro in his second solo show, ‘At Large’. His old-fashioned delivery and tales packed with innuendo harked back to the days of Frankie Howerd and ‘Carry On’, and he oozed star quality. Beneath the camp charm were fresh angles and killer punchlines, and ultimately Porter produced a breezy, no-nonsense, crowd-pleasing stand-up set that won over audiences and the panel.